Just being more connected to the consumer. There are plenty of ways to stay in touch with your customers, listen to them and give them the product they want. We use social media and feedback email systems to listen. And then we make sure we respond and make adjustments when necessary. As a part of my interview series about “Five non-intuitive things you need to know to run a very successful Amazon business, I had the pleasure of interviewing Steve Mamak. Steve is the co-founder of Nature Gnaws, a natural dog chew brand with over $5 Million in Amazon Sales in 2018. Mamak left his medical sales career to create the business with his brother-in-law Jay Mokbel. Nature Gnaws has capitalized off of the consumer shift to buying online along with the continued move toward natural products for their pets. 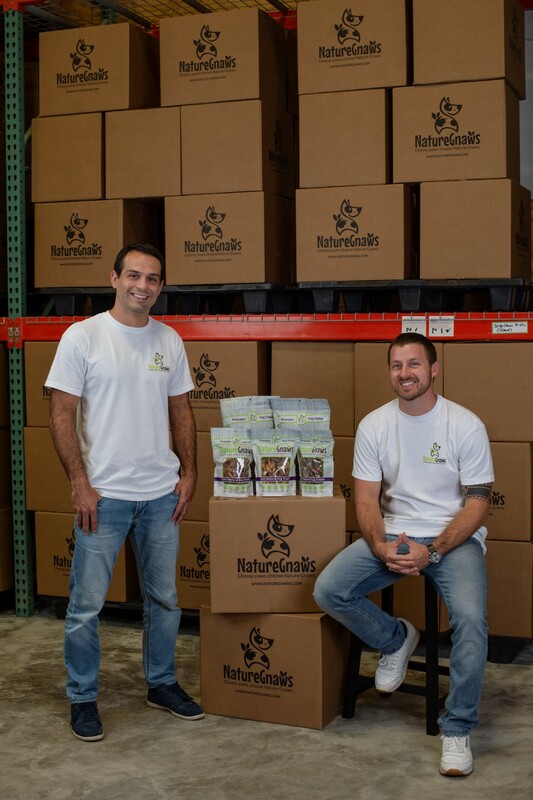 Their Amazon success has led to online deals with Chewy, Target and Walmart. Jay and I were looking at all kinds of opportunities to start a side business. We tried a few and failed pretty bad. With Nature Gnaws, it just had a different feeling. We knew we had a great product and a supply chain from Jay’s experience working in the meat industry. And from owning 4 dogs myself, I understood the growth in natural products in the pet space. Amazon gave us a way to immediately gain access to millions of pet owners and tell our story. We had zero experience selling on Amazon or online. We had to learn everything from how to use barcodes to the how to bid on keywords. Fortunately, there are plenty of resources online that explains how to do this. It was truly a “learn as you go” method. I think we do a great job of of telling the story of our brand with authentic content through various social media outlets. We connect with our customers, stay transparent and take reviews very seriously. We are definitely far from experts on Amazon but we continue to get more efficient and have learned a ton along the way. I would say just the overall international opportunities that we keep coming across due to Nature Gnaws success selling on Amazon. We have been fortunate to travel across South America and Europe, meeting new people and experiencing different cultures. That has been a very cool thing for me that I didn’t really expect. We had the first pallet of product from Argentina arrive to my house. I had a semi-truck backing up my driveway and we had to manually unload the boxes because I don’t have a forklift at home. I’m not sure what my neighbors were thinking. Jay and I started packaging in my kitchen for our first Amazon shipment. My wife came home and kicked us out into the garage because the whole house smelled like dehydrated beef. We are constantly testing new products and ideas both for our Nature Gnaws brand and potential new ones. That is what is so great about Amazon. The platform gives small businesses like us the opportunity to test the market and get feedback direct from the consumer without wasting a ton of time or money. Our main goal is to continue to simplify the dog chew and treat market. We think most pet treats have too many unnatural ingredients and that simple is better. 4. Be Transparent — tell your story, be authentic. I think it would be to bring more awareness about what can be created behind the online brand. We have created new jobs and touched so many other small businesses that supply us with various materials. I think that story gets lost sometimes but it’s really fun to watch an empty warehouse turn into a building full of people who all take pride in what we are doing. Just a quote I always has stayed with me from a book that I’ve gotten a lot out of. Not really a person in particular but I would have breakfast with any successful person who likes our story and is interested in investing. We have big aspirations to keep growing and understand we will need great advice and money to do so.